Once I upon a time I made banana butter and it was glorious. However I have a bad habit of losing things in my deep freezer and forgetting what’s in there, I should probably make a list one day that I can stick to the outside. In any case, I had intentions on making cupcakes but was too lazy to go out to the store to get any of the ingredients so I scrounged through my pantry and freezer and found the amazing banana butter! 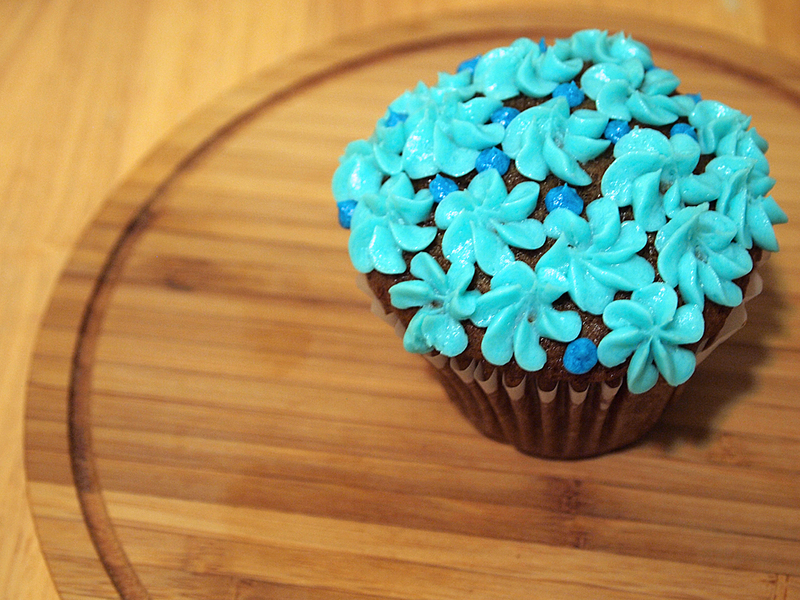 I can’t fully remember why I needed to make these cupcakes but I suspect it was because I just purchased some new piping tips and was excited to try them out! Turns out I’m not that amazing at piping but will likely practice until my hands bleed. I took a pretty basic banana cupcake recipe and altered it to accommodate the intensity of the banana butter. Here’s the recipe! I think brunch is my all time favourite meal, it’s at the perfect time, you can have anything you like and it always seems a little fancy. I invited a new friend over for brunch one morning and although I set it for 11am, I was feeling very unmotivated to get up early to cook so I pre-made everything the night before. Me so lazy. 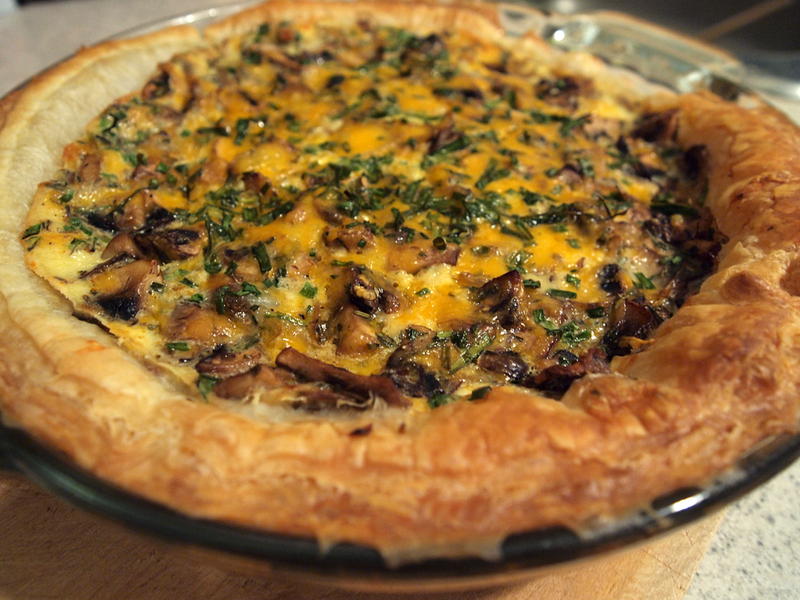 Here’s the recipe for the quiche plus the complete brunch sides…. Categories Baked Good, Breakfast, Make Yummy Food! There’s was a great brunch place in Toronto called Musa that is now closed but they made this amazing bbq fruit breakfast plate and mixed scrambled eggs with avocado and put it back in the empty shell. I thought I’d try and make something similar and bake a whole egg in each avocado half and it turned out super rich and tasty. No bbq fruit salad but some red grapes on the side made for a simple but yummy brekkie. Pre-heat oven to 350. I started with two fresh eggs from Klipper’s Organics and a whole avocado. 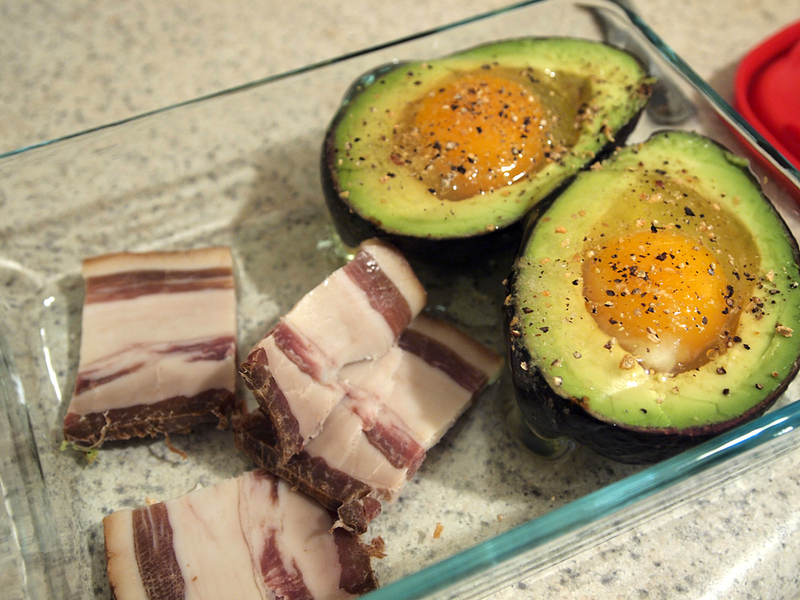 Slice the avocado in half and take out the pit. 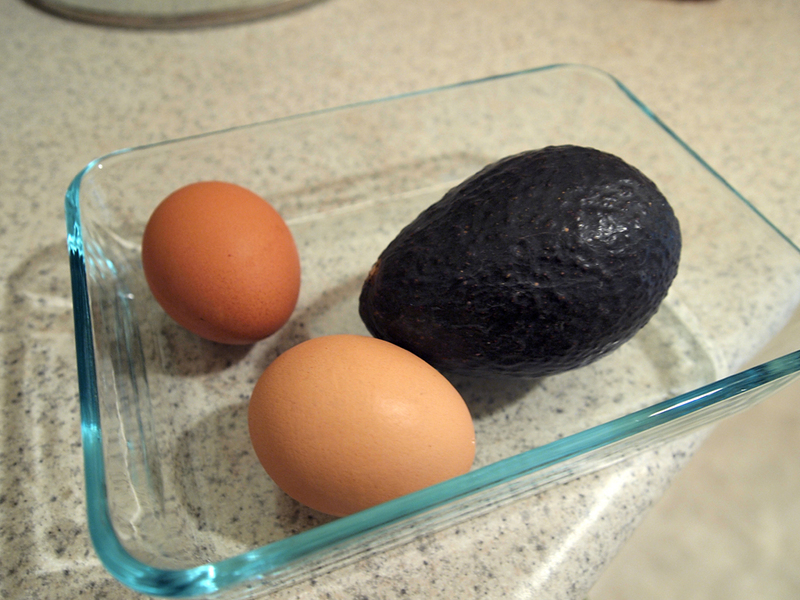 Depending on the size of your eggs and avocado, you may have to scoop out some of the flesh to accomodate the entire egg size. Sprinkle with some lemon pepper and sea salt, I also cut up some cold smoked bacon on the side for something a little salty and crispy. Bake for about 20min or until eggs are set! It’s a little bit of a decadent and rich brekkie but it’s a nice treat once in a while. Categories Breakfast, Make Yummy Food! It’s not easy finding delicious tasting breakfast things when you’re trying to do a low carb diet. Grab and go muffins, bagels, cereals and granola are common household staples because some times you just don’t have the time to whip up some eggs and bacon before you run out the door. The other half made a batch of paleo granola that consisted mainly of nuts. He ate it all last week and while he’s napping, I’m giving it a go with a few additions because for the life of me, I just can’t stick to any recipe. Full of protein, vitamins and minerals, I used some sugar-free maple syrup and erythritol to sweeten up the granola mix a little. Adding ground flax and hemp hearts boosts the fibre content and makes you feel fuller for longer. You can mix and match whatever you like as long as you keep the quantities fairly close, check out the recipe and make your own paleo granola! Sometimes fancy is actually quite simple. One morning I decided to make almond pancakes again with a few additions from my fridge. I had previously blended some ricotta cheese with sugar free blackcurrant jam for fruit parfaits and stuff but it turns out it’s great with pancakes! Just use a handblender to blend the ricotta until smooth and add in jam or even cocoa powder to flavour it. It’s low carb and taste quite decadent! I fried these pancakes up and sandwiched in some blackcurrant ricotta and topped it up with some fresh blueberries. A light drizzle of maple syrup and this made for a tasty breakfast! 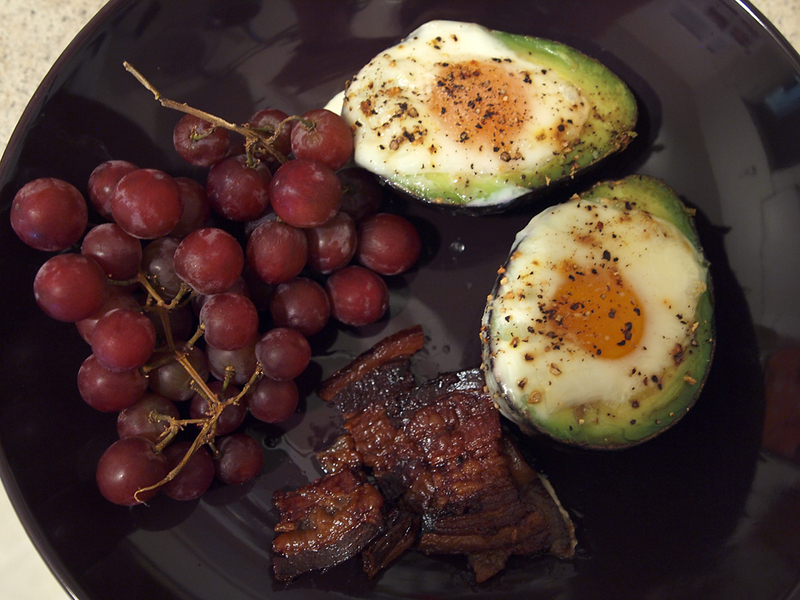 Categories Breakfast, Low Carb/Gluten-Free, Make Yummy Food! almond flour pancakes….gluten-free strikes again! Hooray for pancakes again! I’ve been experimenting with almond flour in baked goods and although extremely tasty, it doesn’t lend to a lofty batter that rises in the oven. However, I’ve discovered a secret, almond flour is great for making pancakes! With a bit of baking soda, these little guys rise up just like the wheat variety and taste quite good! 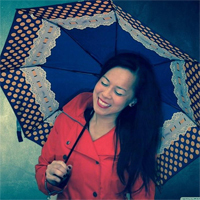 As for syrup, I used some left over simple syrup that I used to make orange peel candy….whoa, that stuff is good. 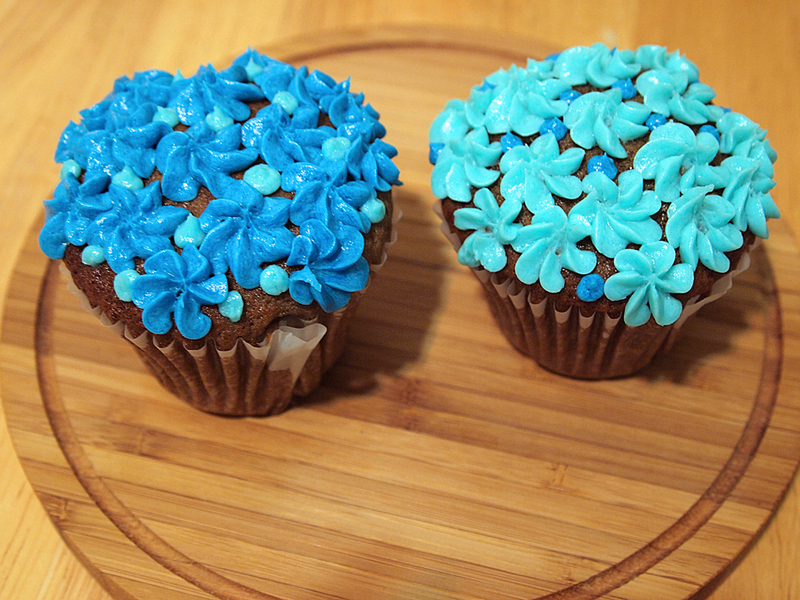 Oh oh muffins! I used to avoid these little babies since I learned that they’re way worse for you than donuts. How can it be true?!?!? These muffins however are scrumptious and actually good for you. No sugar, low carb, packed full of vitamins, a perfect run-out-of-the-door kind of breakfast. Plus they make an excellent snack. I’ve loaded these guys up with a dollop of applesauce in the middle, but you can omit that since there’s actually applesauce in the batter! My baking staple of almond flour came to the rescue again….here’s the recipe!